– The first is a full denture which replaces ALL of the natural teeth in either the upper or lower jaw. 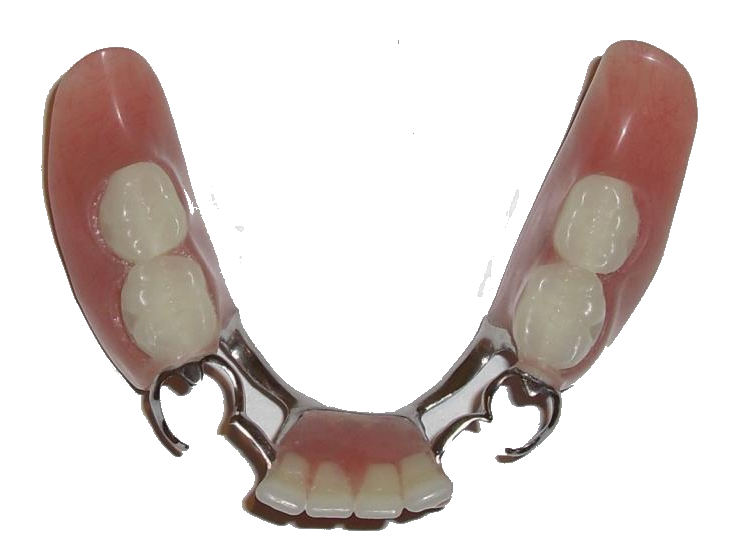 This denture is made to fit snugly over your gums. 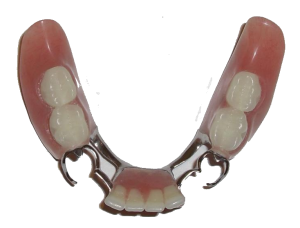 – The second type is a partial denture, this replaces the spaces left from missing teeth when there is natural teeth still present and can sometimes be fitted onto the natural teeth with clasps or precision attachments for a greater fit. – The third type of denture is an Immediate denture which is made only as a temporary substitute when having teeth removed, this only takes one visit to make and is fitted as soon as a tooth and or teeth have been removed, the fit is not great as the bone will heal and remodel meaning other options will have to be be discussed after 6 months when the healing process is complete this may be another denture, a bridge or a implant. Constructing dentures, to an extent that both yourself and the dentist are happy with, usually takes around 4-6 weeks. As with many of our treatments, there are NHS and Private Options available (with different styles of teeth and gums). Finally, dentures are as important as previous natural teeth and need to be cleaned every day and thoroughly. They are worth the wait and can dramatically change your lifestyle. 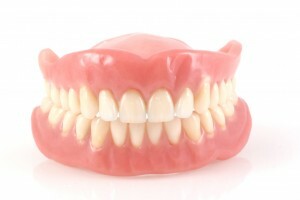 Wearing a denture adds confidence and lets you carry on with your life as if … well as if you had your own teeth. We have created a selection of videos which feature cosmetic dental treatments including dentures, should you wish to view them these can be located here.